Independent reading 11 (Key Stage 2 readers). Izzy doesn't like Danny. And Danny will be coming to live with them after his mum marries her dad. When Danny comes for a sleepover, things are very strained. 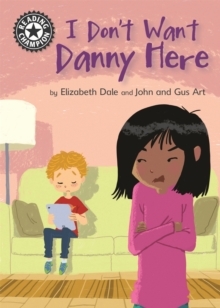 Then Izzy starts to see things from Danny's point of view, and their relationship begins to change... Reading Champion offers independent reading books for children to practise and reinforce their developing reading skills. Fantastic, original stories are accompanied by engaging artwork and a reading activity.